Meanwhile, many speculate that rich and prominent Mexican families are in cahoots with American businessmen in the alcohol industry, wealthy industrialists who launder the unprecedented profits from the drug business with their legitimate enterprises, and lawmakers who get gigantic kickbacks and payoffs to make sure that these drugs remain illegal, so they can remain rich, fat and happy. According to sources on both sides of the border, tens of millions of dollars in payoffs and kickbacks are stashed in Swiss banks every year, blood money from the brutal business made possible by a corrupt system supported by laws that don’t, and have never, worked. 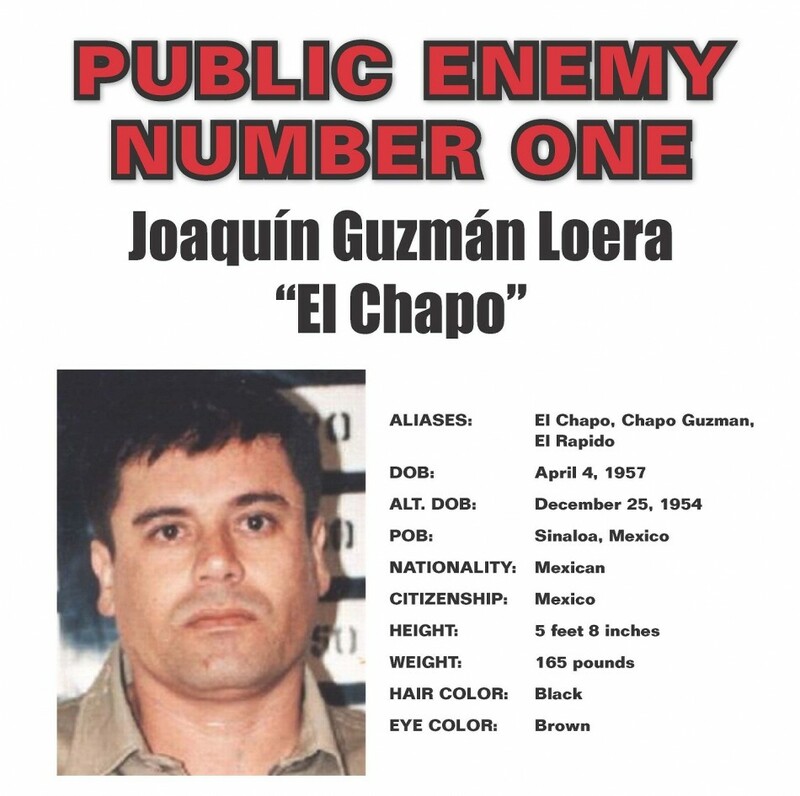 Rather than putting El Chapo and his kind out of business by modernizing outdated laws and in the process making billions of dollars from taxing drugs (as is done with cigarettes and alcohol), United States government has spent hundreds and hundreds of millions of dollars chasing its tail, and offered a $5 million reward for the capture of El Chapo. Many have said that the offer is unofficially: Dead or Alive.